NEWS: Washington State University's Kirk Schulz and more than 50 presidents of other Washington colleges and universities have declared their support for DACA — the Deferred Action for Childhood Arrivals program — an Obama-era immigration policy; yesterday, the Trump administration announced its plans to end DACA, calling on Congress to act. NEWS: Two Spokane homeless shelters, House of Charity and Open Doors, are encouraging people in need to come inside, as the city's air quality, degraded by wildfires all over the western U.S. and Canada, has become dangerous for all. ANNUAL MANUAL: The Inlander's comprehensive guide to all things Inland Northwest is arriving this week at more than 1,000 locations throughout Eastern Washington and North Idaho. Pick one up for free, while they last! 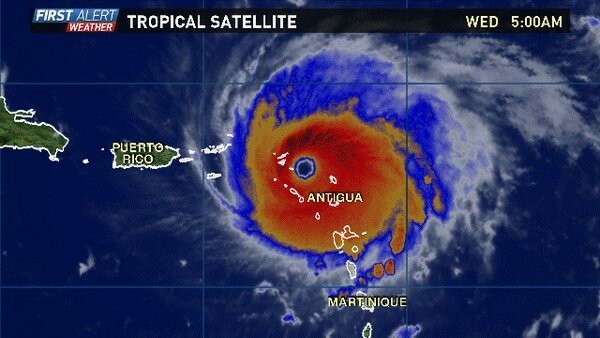 Hurricane Irma, a Category 5 storm, has the islands of Puerto Rico and Cuba in its sights, with projected U.S. landfall in Florida. Spokesman-Review columnist Shawn Vestal has a message for 5th District Rep. Cathy McMorris Rodgers regarding Trump and DACA: It's not too late to pick decency over loyalty.